How in FCC World Can Workers’ News Not be News? New Orleans The Workers Independent News has been around a long time, pushing on a couple of decades. 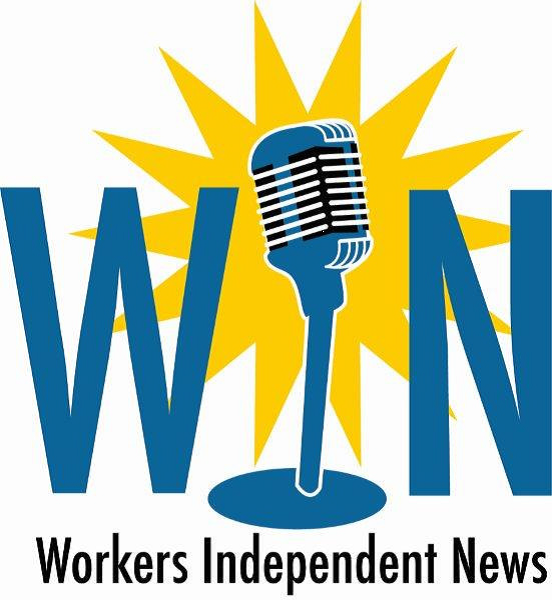 Supported by unions and heard on about 175 radio stations around the country, including soon on the KABF Labor Show produced by Local 100 of the United Labor Unions, WIN is widely recognized for its value in amplifying the often unheard voice of labor for tens of thousands of listeners around the country. We don’t have many institutions or news outlets like WIN, so it’s important to protect the ones we have. Talking to Frank Emspak, the WIN Executive Producer, recently about how to extend the reach of WIN into radio markets throughout the South and West where they are less well known, I asked him what he was referring to in an earlier comment he had made about trouble with the FCC. Not being a broadcaster, how could WIN get on the wrong side of the FCC? Well, the answer turns out to be somewhere between a ricochet and a low blow. It seems that one of WIN’s radio outlets in Chicago was running their news and did not identify the fact that the WIN report was being paid for by WIN itself rather than being a direct news production of the station. Someone filed a complaint in 2009 and finally in February of 2014, almost 5 years later, the FCC slapped a $40,000 fine on the station, WLS. The issue is not about the fine. Fair is fair, and WLS should have identified all of the episodes as having been sponsored by WIN itself, and some were, and some weren’t. Emspak and others are clear. This is a freedom of speech issue in their view, plain and simple, and an attack on journalism as being biased simply because it focuses on workers and labor issues. The FCC is trying to impugn them essentially because they paid to run some of their spots in the Chicago market where they weren’t being heard, and that’s where WIN was caught on the horns of a dilemma. Supported by some large unions like AFSCME, the Teamsters, the Teachers, and the Electricians, the value of the news they produce is enhanced if they can be heard in big labor markets, like Chicago, so not having subscribers there, they actually paid WLS to run their news, so that they could be heard. Grabbing that thin reed, the FCC wants to argue that “listeners were exposed to material that appeared to be objective news stories” in a classic “damned if you do, damned if you don’t” argument. It seems that if the FCC wants to really start policing whether or not all the news that’s heard on the radio is really objective, that would be a full time job, and they need to get on it, but trying to silence one of the few news outlets nationally for workers is way outside their scope. If they have this much energy, maybe they could do something about stopping Comcast from trying to monopolize cable and the internet, you know, do their real job, rather than doing some “make work” project like going after workers and silencing their voices. This entry was posted in Ideas and Issues and tagged FCC, Frank Emspak, KABF Labor Show, local 100, Workers Independent News (WIN) by Wade. Bookmark the permalink.